Merrick Garland for FBI director? Sure, let’s make this week dumber. Welcome to the most amazing Republican troll job yet. Judge Merrick Garland on Capitol Hill in Washington on May 25. In the event you weren’t quite convinced that the White House could turn the governance of America into the world’s most elaborate game of Clue, some Republicans are now floating the name of Merrick Garland to replace ousted FBI Director James Comey. That’s right, Merrick Garland, the chief judge of the U.S. Court of Appeals for the District of Columbia Circuit. 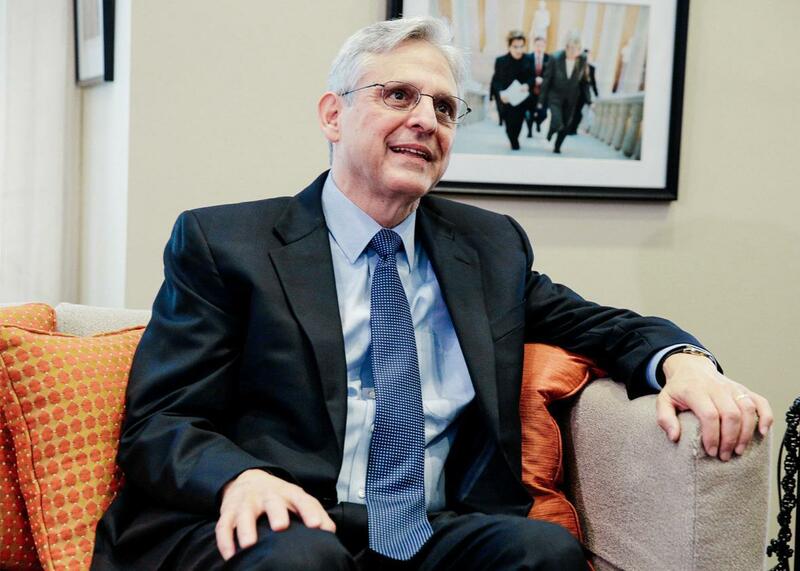 Merrick Garland, the jurist who couldn’t get a hearing, or even a cup of cold coffee, from the Republican-controlled Senate after President Obama nominated him to the Supreme Court. Merrick the Invisible Boy Garland. Unless there is some other Merrick Garland who Ted Cruz has been hiding in a closet somewhere, this is the very same guy who was, as Orrin Hatch once put it, “a fine man,” a “consensus nominee,” and a “moderate” until he became, upon being nominated by Obama, part “of a voting bloc on the court that consistently upholds abortion on demand” and “the most anti-gun nominee in recent history.” So when Republican Sen. Mike Lee of Utah decides that poor Garland would be the perfect pick to be the next FBI director, one might reasonably wonder which Garland he’s talking about. Does this mean Garland is a “fine man” again? Or is this just the latest humiliation to be visited upon the man Republicans have spent the last year smacking around like a cat toy? Great Scott! This man sounds amazing. Why hasn’t the nation heard tell of him yet? Lee then made his support for Garland public on Thursday morning, explaining in a TV interview, “I would imagine that this might be a post that might interest [Garland], and it might be a post that he could serve in very effectively.” A Lee staffer told the Hill this suggestion was not meant to be hilarious, saying, “He’s eminently qualified and has the reputation needed to restore public confidence in [the] FBI.” A Fox Business News reporter then appeared to suggest that Vice President Mike Pence and White House Counsel Don McGahn are on board, too. It’s an idea everyone can get behind! Maybe Ruth Bader Ginsburg and Elena Kagan want the gig, too! They can all be FBI directors! So, Garland is independent enough to head the FBI but not independent enough to be on the high court. Or, wait. Maybe he wasn’t independent enough back in October but he’s independent enough now. Your guess is as good as mine. Democratic Sen. Amy Klobuchar, for some reason, is buying what Lee is selling. Garland probably won’t want to give up his lifetime tenure as the chief judge of the second-most important court in the land, and surely the most significant bulwark against Trump administration overreach, in exchange for a 12-minute gig on The Apprentice before he uses the wrong color highlighter and gets fired by a crazy person. But props to Lee for upping his game just in time for sweeps week. Your move, Sasse. Personally, I think Jared Kushner would make the best FBI director of all.